Opening old bottles of wine with dodgy corks can be a challenge even for the most experienced wine hound. Good hardware can make a big difference. The Durand combines the Ah-So, prong opener, with the screw of a waiter’s friend. Check out the video review below. It’s not cheap, if you have a lot of old wine under cork it’ll make your life a bit easier. 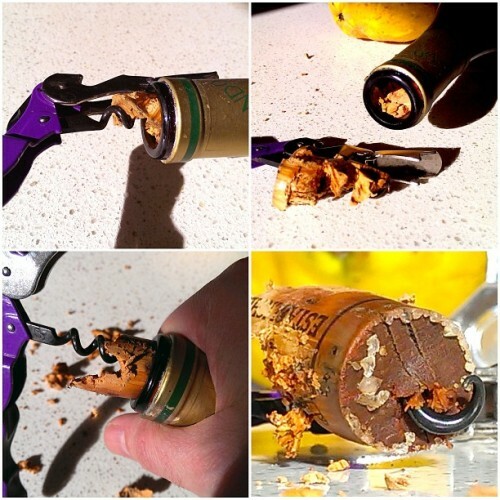 Alternatively you can go the Power Drill or Coat Hanger (end of post) method of opening your bottles. 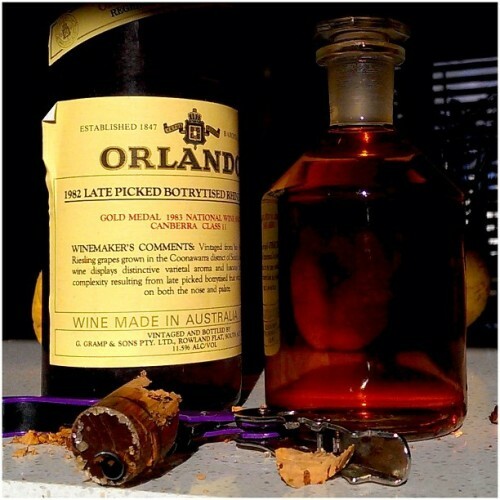 *I have no affiliation with Durand and paid in full for the corkscrew. Waiter’s friend (top), Ah-So (middle) & Durand (bottom) with 1979 Laira Cabernet Malbec. 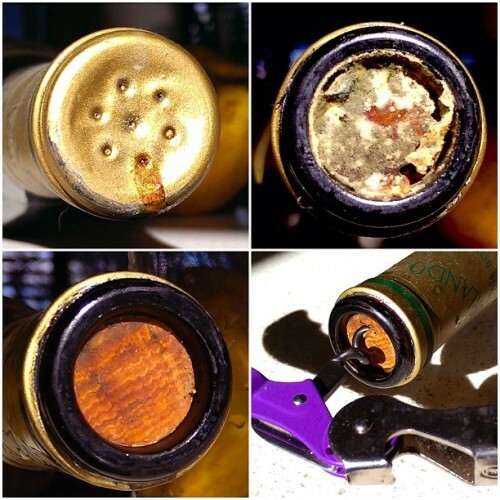 FilthyGoodVino Wine Tip #1: The Wine Saver Smackdown Has Ended at a cost of $0 … Sorry Coravin! Filthy Good Vino wine tips are hear to help you get more from every bottle of Filth that you open. #1 is all about saving the leftovers at the end of a big night. OK, gotta put the caveats on this statement. 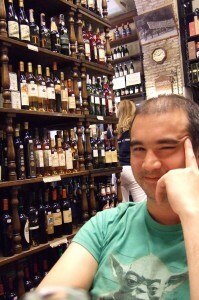 I’m talking about saving open bottles of wine at home, not, in a bar or restaurant. I’ve never tried a Coravin. I’d be interested to hear from anyone who has. Make sure any vessel: tank, barrel, amphora, holding wine is full … no air in it … PERIOD! No matter how hard you try to fill the air space in a tank with carbon dioxide, nitrogen, argon, if there’s a lot of air space in a tank oxygen will be in there. If the tanks full of wine there’s no room for air, and, therefore no room for oxygen. Apply the same principle to your left over wine and you’re on a winner. Your leftovers will be in the best possible condition. How? Simply collect a few small glass bottle: Airline wine bottles – 187ml, half wine bottles – 375ml, tonic water bottles – 330ml … tell me you don’t have any of those lying around by the time the G&T season hits, maple syrup bottles – 250ml, whatever you can get your hands on. After you’ve cracked your bottle, carefully decant whatever your not going to drink straight into the appropriate sized bottle, filling it to the brim, seal it up with the lid and your done! Even the most sensitive wine, like Pinot or old wines will benefit. I’m not saying it’s perfect, but, it’s not far from it! I cracked this Roagna La Pira 1/2 bottle, chucked 1/2 in the glass & saved 1/2 for later! Took me a few days to get back to it and it was looking great! 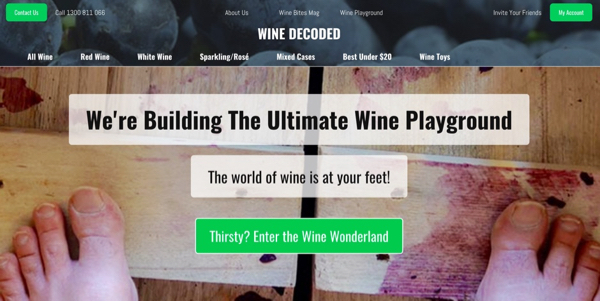 The ultimate Filthy Good Vino cork challenge! Mould, 1000 Pieces & Wine Diamonds! Part 1. Something gives me a sneaking suspicion that this might be a tough one. The skank under the capsule is a bit of a worry. Friday’s #FilthyGoodVino challenge accepted. The capsule is off, revealing some unwanted friends. 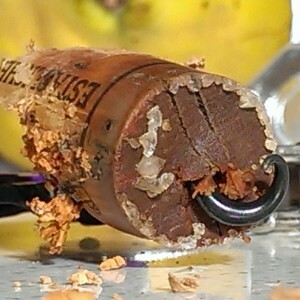 FILTHY GOOD VINO TIP: Always clean the nasty bits of a cork before opening the bottle to avoid contaminating the wine! Part 2. The magic eight ball says “Outcome uncertain, check again later” I will not be deterred! Victory is mine, with wine diamonds! 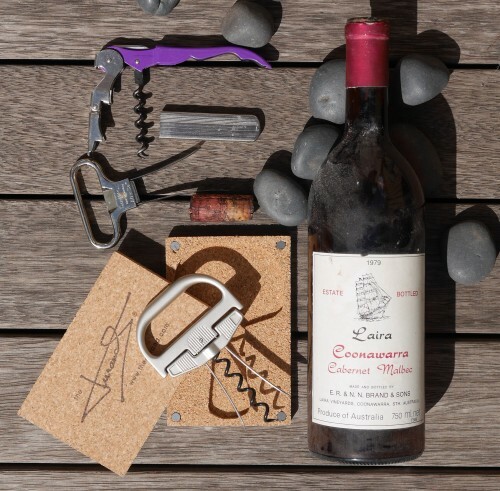 FILTHY GOOD VINO TIP: Keeping a bottle of wine as flat as possible while opening helps avoid disturbing any crap in the bottle and reduces the chances of the cork falling in giving you a chance to have a second or even third, fourth and fifth bite at getting it out! 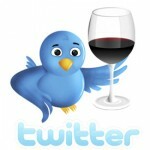 There’s a video showing how in my post “Stop the Wine-ocide” Kaani 2012 – My Deep Dark Secret + a Wine Tip.